The new AIRMAN 8 builds on the success of its predecessor’s reputation – the AIRMAN 850, the only FAA TSO approved Active Noise Reduction aviation headset with battery-free operation. Sound Quality The Airman 8 features a high-quality amplified electret microphone for clear voice transmission. Improved ANR and microphone noise cancellation ensures superior in-flight communication. Active Noise Reduction The Airman 8 headset features enhanced ANR (Active Noise Reduction) with even more noise reduction, helping to improve intelligibility and reduce fatigue. The position of the ANR switch has also moved to the forward-facing ear cup side, making it easier to reach the switch without having to remove the headset. A unique feature of the Airman 8 is that it is powered from its microphone system, eliminating the need for batteries or special connectors. Durability A strong stainless steel headband with metal pivots improves durability for long headset life. The new microphone boom design provides stronger rotation stops, utilizing the full diameter of the ear cup. 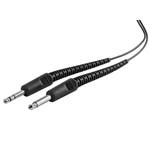 Furthermore, a pre-coiled overhead cord has been added to extend the useful life of the headset. 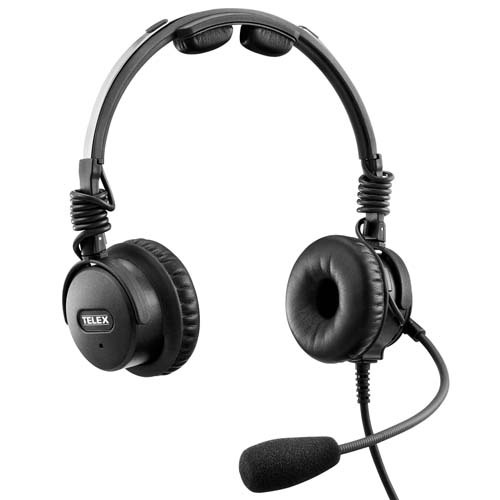 The main headset cord is also more robust and features an improved design of the band relief on the ear cup entrance. Comfort and Fit The soft headband pad and lightweight design provides comfort, even on long flights. An added yoke provides enhanced comfort by allowing ear cup movement in all directions. Furthermore the Airman 8 comes with replaceable ear cup covers and leatherette ear cushions.